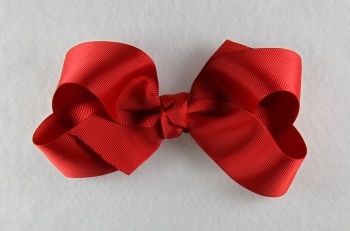 Glowing red boutique grosgrain ribbon bow is 1.5 inches wide and attached to an alligator clip. This is a smaller sized bow and looks great for smaller heads, and ponytails. Just simply red.